Easily amongst the most revered watch brands, Piaget looks confidently on in the already crowded luxury watch space., Piaget stands proud, unshakable, invincible. A position only enjoyed by a handful of hallowed brands, Piaget has carved for itself a niche that no other brand can replace. Known for the ultra thin movement that created a revolution in the world of watch making, Piaget is the big brother, bearing the hallmark of royalty in the world of timepieces that all brands look up to, and, measure themselves against. Piaget are also fine jewellery makers and the pieces from their collection are exquisite, works of art that cannot be duplicated. Fine craftsmanship, expert designs and setting, flawless stones, are some of their trademarks. The Rose Collection and The Mythical Journey Collection are icons in their own right and the Altiplano is the pioneer of the watch world’s thinnest movement. 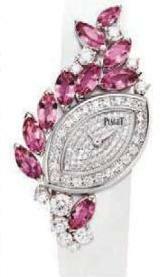 Piaget jewellery and watches are heirlooms that can be passed on from generation to generation. Classic, valuable, they never go out of style. Piaget is a red carpet veteran, recently seen on Jamie Fox, Matthew McConaughey, Anne Hathway, Scarlett Johannsen, Michael Keaton and Dree Hemmingway to name a few. Starting in 1874, on his family farm, George Eduard Piaget started a workshop dedicated to making high precision movements. The word got around, he soon began supplying to some of the most luxurious brands in the world. The demand for his work grew, his signature bearing the hallmark of expertise seldom bettered by anyone else. 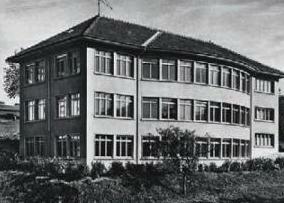 1943 marked the year when the Piaget family registered their brand, and, as they say, the rest is watch making history. 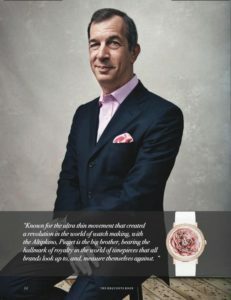 Philippe Léopold-Metzger CEO of Piaget talks to Priyanka Sippy about his journey to the pinnacle he stands on today. For Piaget, the historic cities of Venice and Samarkand provide a wealth of inspiration and are the focal points in the collection divided into ‘Secrets of Venice’ and ’Lights of Samarkand’. PS: How does it feel to be CEO of one of the most prestigious watch brands in the world? PM:It is a privilege to be the CEO of a truly genuine luxury brand. I get the chance to be involved in everything from design, development, production and marketing. I am in contact with executives as well as artisans all the time. I travel around the world and I meet a lot of very interesting people. PS:That sounds exciting! Tell us about your journey with Piaget. What are some of the milestones that you would like to share with our readers? PM: For me the greatest achievement has been the development of our two manufactures : one in la CAF and one in Geneva where we develop and manufacture all our movements, bracelet and cases. 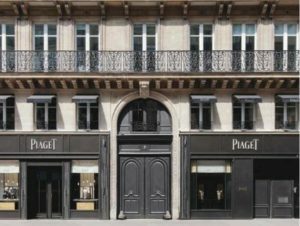 The reposition of Piaget as a true specialist of mechanical watches, the development of the retail network that has today a hundred stores, and the achievement of Piaget as a full-fledged jeweller from access to high jewellery. PS:Jessica Chastain is the brand ambassador for Piaget. How, in your opinion, does she embody the spirit of the Piaget Woman? PM:She was chosen as she exemplifies Piaget’s unique values — from her audacious acting career choices to her unrelenting passion for perfection. She is beautiful, elegant, charismatic and full of joy. The perfect fit. PS:We would love to know more about the ultra thin movement that created a revolution in the world of watch making. Tell us. PM: In the history of ultra-thin movements, Piaget stands out as a pioneer with its famous Calibre 9P hand-wound movement and Calibre 12P self-winding movement, both representing the thinnest in the world in the category at the time of their respective launches in 1957 and 1960. This legacy has led to modern movements, such as the 430P, 450P and 438P, measuring a mere 2.1 millimetres thick. In the exacting field of ultra-thin calibres, extraordinary mastery is required to push the components to the limits of their capacity and ensure fine adjustment. When it comes to putting technical prowess at the service of creativity, Piaget has no equal. The manufacture’s artisans took advantage of the new opportunities afforded by these watch movements, creating understated, elegant watches for men as well as jewelled timepieces adorned with precious stones. This mastery has helped forge Piaget’s reputation and singular identity, expressed with particular poignancy by the Altiplano range. Piaget is known for ultra-thin movement and no watch embodies that better than the Altiplano. 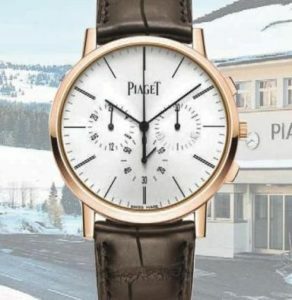 So it is the iconic watch of Piaget and we can proudly say we are the masters of ultra thin symbolized by this watch. PS: The skeleton watches are another set of masterpieces from Piaget. We would like to know more. PM: Piaget’s ultra-thin movements combined with the highest technical precision take on the challenge of all the complexity behind a skeleton mechanism. True strength of purpose is required to achieve the minimalist thinness of the 838S skeleton, 838D gem-set skeleton, 600S skeleton, 600D gem-set skeleton and 1200S skeleton movements. As in the case of the 1200D gem-set skeleton, the movement’s thinness is matched by the exquisite delicacy of detail. PS:The Polo watch is an icon among timepieces. Which countries have a higher demand for it? PM: Polo is very well known in the USA and was the biggest market for it..The icon watch for Piaget in the 70s, Polo was favoured by Max Vilandre, Roger Moore to name a few. ‘PM: Piaget teams up with artisans for different collections, and they are the most renowned artisans and are very known in their metiers d’arts. PM:The most expensive piece created by Piaget is a necklace from Rose Passion collection (2014) – 1.8m€ highlighting a yellow pear-cut diamond of 12.82 ct and a cushion-cut diamond of 4.18 ct.
PS: Rose collection is one of the most famous of the jewellery collections, and has some magnificent high jewellery watches as well. We have heard a lot about the brand’s Rose Day concept. Do elaborate. PM: Roses have always been part of Yves Piaget’s life as well as that of his family company. 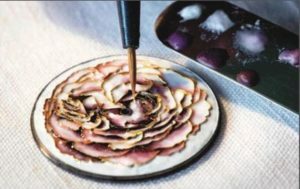 His taste for roses was further affirmed in 1976 when he became a member of the jury for the Geneva International Competition of New Roses, and presented the winner with a gold rose crafted in the Piaget workshops. His passion for these astonishing flowers was rewarded in 1982 when the winner of the competition, created by the famous rose breeder Meilland, was christened the “Yves Piaget rose”. In tribute to this rose and to the jewellery collection inspired by it, the first “Piaget Rose Day” was held on June 13th 2013. It was celebrated throughout the world and is destined to become the brand’s annual rendez-vous. On this occasion, various activities and events are organised and staged in Piaget boutiques worldwide or in other magical places. Lights – A Mythical Journey by Piaget”. Connecting the East and the West for centuries, this complex trade network exchanged not only exotic goods but the myriad cultures it encountered along the way. For Piaget, the historic cities of Venice and Samarkand provide a wealth of inspiration and are the focal points in the collection divided into ’Secrets of Venice’ and ’Lights of Samarkand’. Chosen for their cultural wealth, architecture and creativity, Venice and Samarkand are re-imagined by Piaget’s artisans into 93 unique jewellery creations and 38 fine jewellery watches. PS: How do you balance your family commitments and your work? Always do better than necessary is Piaget’s motto. That is a high standard to live up to with a brand that has proved that time and again. PM:I take great care to spend as much time with my family when I am not travelling. I am lucky to have a wonderful wife and two great kids and I love to be around them. PS: What are your passions besides timepieces? PM: I love to play golf wherever and whenever I can including in the middle-East where there are the best golf clubs in the world. PS: What are your upcoming plans for the company? PM:We have a lot of very exciting products that are going to be launched in the next few months in particular jewellery watches & High Jewellery. Geographically, we are committed to the Middle-East and America where we know there is a great potential for our brand. PS: Which is your favourite timepiece? PM: I love my Altiplano skeleton!For me it expresses the best the dual identity of Piaget as a watchmaker and as jeweller. PS: Do share your success formula with all the aspiring CEO’s out there. PM: For sure I have a lot of opportunities within Richemont to discuss with my fellow CEOs and to share among us what can be the roots of success but also sometimes of failure. This one is for keeps….Jacob & Co.